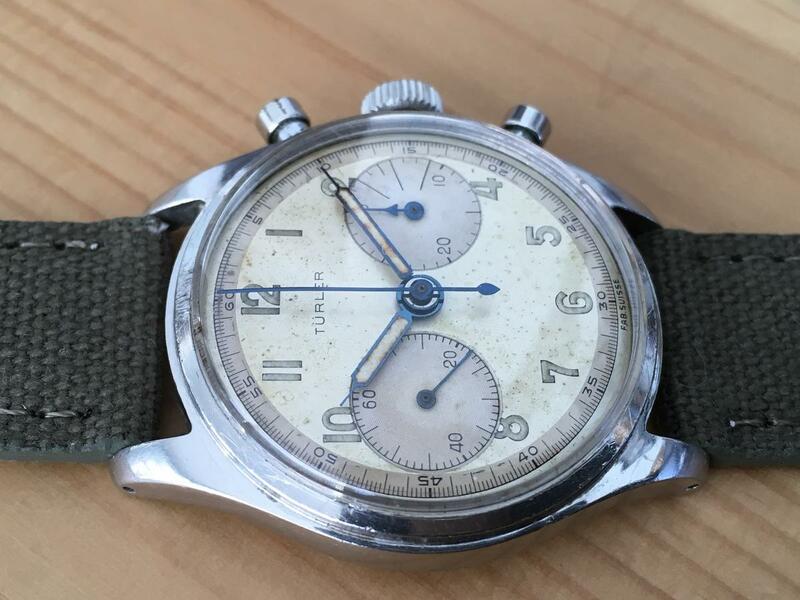 For sale is my Turler branded chronograph from the 50s. Great looking chrono in great shape for a watch it's age. I believe the watch is 100% original. -Valjoux 92 manual wind movement freshly serviced in January 2019.
plenty of references available on request from Canadian watch collector (canwatchco.ca) , mwr forum, omega forums, watchuseek, rolex forum etc.